Comedy isn’t easy, and it can be considerably more difficult to get into for women. Those who do achieve success often ascend to a certain level at which they aren’t eager to interact with those just starting out, and are confident that the way they do things is the right way to do it, even if times around them are changing. Bringing a new perspective into an established and dated situation is rarely welcomed by those involved in the process but almost always entertaining and enlightening to see play out from an outside vantage point. Katherine Newbury (Emma Thompson) has been the host of a nightly talk show for twenty-eight years. A belief that she hates women prompts her to instruct her loyal producer Brad (Denis O’Hare) to hire a woman to join her all-male, all-white writing staff. 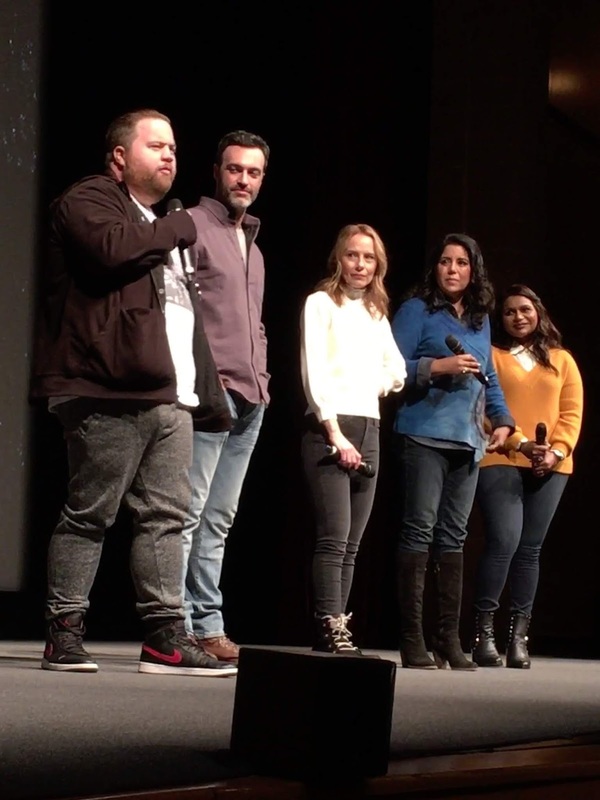 Chemical plant employee Molly Patel (Mindy Kaling) is hardly her first choice, and she makes waves right away by suggesting what has gone wrong with the show and how it can be improved. Her rocky integration to the world of comedy writing comes at a crucial time as Katherine learns that she will soon be replaced by a younger, far less talented comic, giving her one last shot to prove that she’s still relevant. Variety shows are recreated in a number of television series and movies, and the crucial element to make them work is that they have to actually be funny. This film succeeds wildly in that arena, covering the process of ideation in the writer’s room to its (occasionally cringe-worthy) implementation on-air. 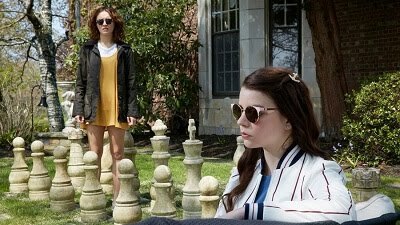 Katherine’s newfound participation in that process, spurred on by a need to retain control of something she didn’t realize she had lost, makes it all the more engaging and fun, as she makes very clear how she thinks comedy should be good, often clashing with her writers and certainly most with Molly. Thompson is a wonderful actress who hasn’t had a powerhouse lead role like this in a while. She brings a hilarious ferocious energy to Katherine, and her line delivery is one of the film’s strongest assets. Kaling, who also wrote the screenplay, is fantastic opposite her, playing into her established persona to create a highly endearing protagonist. The supporting cast, which includes Reid Scott, Paul Walter Hauser, and Amy Ryan, is great, and there isn’t a lackluster element in this film. This film has already netted a spectacular acquisition from Amazon, ensuring that audiences everywhere will have the opportunity to experience this very enjoyable comedy.